The Training Wall Rope Puller makes possible a wide variety of movements based on the rope pulling and battle rope. 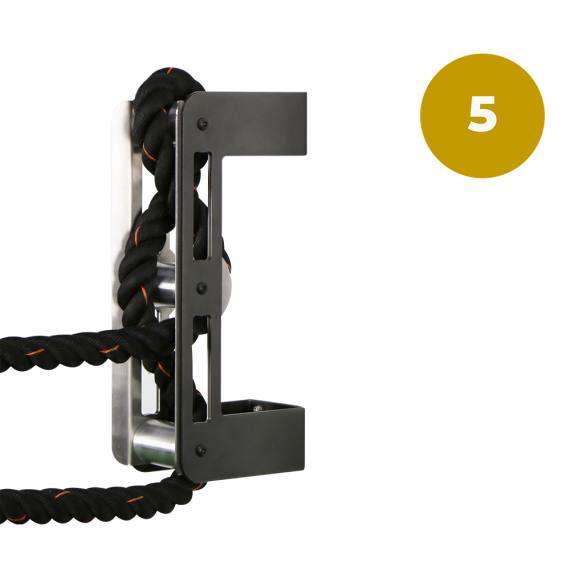 The design allows set up different intensities, from the easiest to a very hard depending on the loops you do on the cylinders. 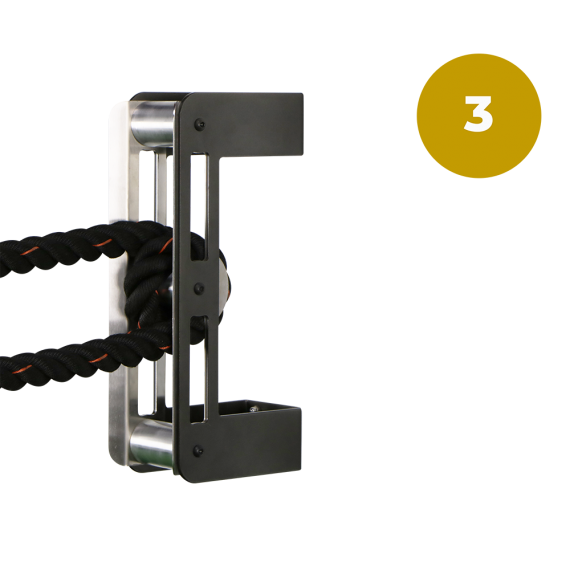 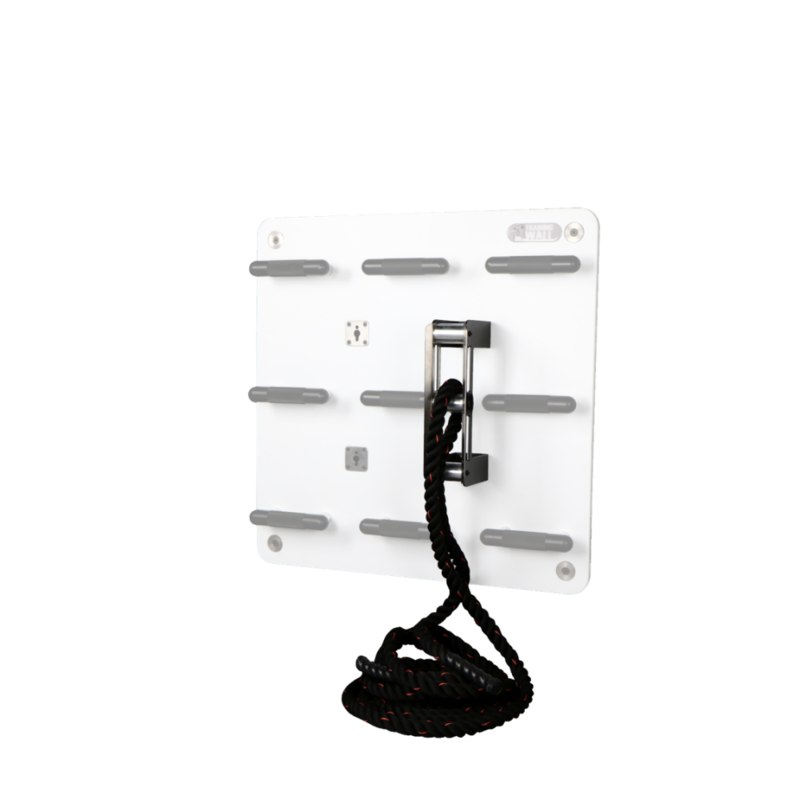 Also, smooth stainless steel plates protect the rope from scratching and doing the movements smoother. 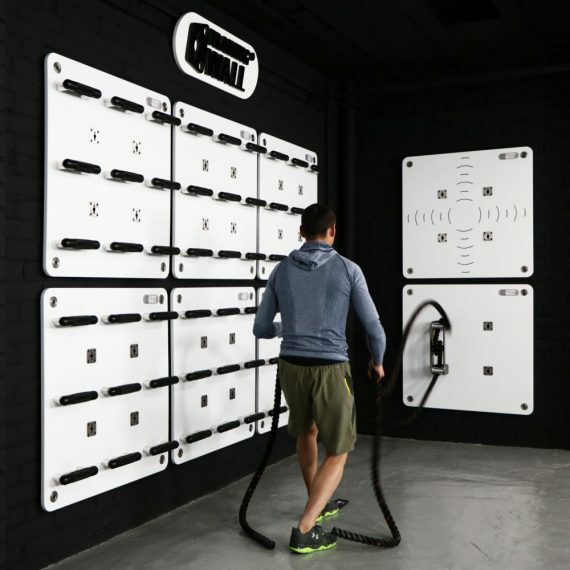 The system Training Wall allows to put the Rope Puller in the Training Point giving more versatility for your training, also you can set up two Rope Pullers in the same panel, saving space and getting more benefits, and when finished, you can store it on the storage system, storage trolley or Training Point.